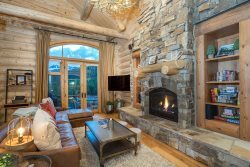 Terraces 1401 - 2 Bedrooms, 2 Bathrooms - Sleeps 4 - Deluxe Townhome - True Ski In Ski Out Property! Absolutely wonderful place to stay. Very clean, up to date and wonderful location. Would stay here again without any doubts and would help highly recommend to anyone! Excellent staff and a beautiful property in a great location! Felt like home....wait, my wife tells me we need a second home!